Now is the time to stock up on CAARA logo items! From the typical white t-shirt, to yellow, and vibrant green, the CAARA logo store has what you need. Sweatshirts, t-shirts, mugs, bags, and hats all carry the CAARA signature. 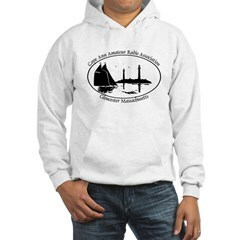 Visit the official CAARA store to get a varied selection of club logo apparel courtesy of CafePress. And the best part besides getting cool club logo stuff– a portion of the price of each item sold goes directly to the club immediately! Stock up and get yours today at our exclusive Cafépress site! Below are just two of the many styles available. You can purchase either by clicking on their image.